In search of her missing brother, Grace Carlyle goes searing for him in the Amazon jungle, not knowing that her search for him is about to become much more complicated than ever. After getting lost, she finds her way into a cave, and then through a chain of events face to face with Darius en Kragin, the leader of the Dragons. As guardian to the portal of Atlantis, he knows through past experience, how dangerous it is to let a human enter their realm. However there is something about Grace that is different from other humans, something tha intrigues him more than ever. He knows his duty is to kill her at some point, so there is no danger to those that he protects, however as time passes, and events occur in which things get intense and much more complicated his feelings for this woman keeps getting stronger, and he asks the question “Could I ever kill her?” Even though he knows he is falling in love with her, the one who holds the key to his heart. As I had only read Nymph King in the Atlantis Series, I desperately wanted to read Darius and Graces story. I also love reading love stories of dragon shifters. So this one is right up my alley of some of the most enticing reads that I couldn’t put down!!! Darius, being leader of the dragons, and having feeling hardly anything at all, he finds himself at a loss when he sees color and feels the strongest emotions whenever he is within her reach. Grace loves her brother dearly, and after she gets lost in the jungle she comes face to face with a fierce stranger, that treats her more like a suspect than a innocent. However she desperately wants to find her brother, alive and well, and as things progress, she knows that she wants Darius with her for all time. 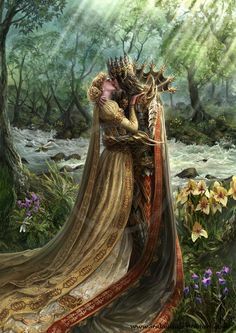 I truly fell in love with this story, although I think I like Nymph King a bit better, it did come close to tying for me. There was so much intensity about this story that was portrayed so realistically, it was like the story was coming alive. It definitely met every expectation that I had for this book, and I honestly have no complaints about it. I think I love this series much more than the Lords of the Underworld one, just because its a much more magical and fun series. 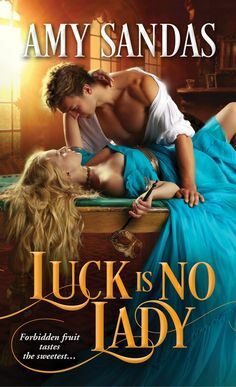 Apart from the vampires and dragons trying to kill each other off, it was a close to perfect love story, when all the right amounts of wit, romance, excitement and passion that I look for in a great romance read!! I would definitely recommend this book and this series to everyone that like love stories under and above the sea!! !